Amazon Web Services (AWS) and Salesforce have expanded their global strategic alliance. The companies announced new product integrations for customers to share and synchronize data across AWS and Salesforce services and deeper levels of integration between AWS and the Salesforce Lightning Platform. AWS PrivateLink integration with Salesforce APIs: AWS PrivateLink will allow SaaS application developers who build on AWS to offer private endpoints as an additional option for accessing their service. This integration will provide endpoints for core Salesforce APIs within the developers’ Amazon VPCs and vice versa. AWS integration with Salesforce platform events: AWS and Salesforce will collaborate on a new solution that will enable mutual customers to publish and subscribe to Salesforce Platform Events in AWS. Events in Salesforce, such as the creation of a sales opportunity, can then easily trigger actions in AWS Lambda and other AWS products. Once processing is complete, results will publish back to Salesforce as Platform Events. Integration with Amazon Connect for Salesforce Service Cloud: Amazon Connect for Salesforce Service Cloud will now let customers build dynamic, AI-driven, self-service voice experiences with a Lightning-integrated agent and customer community. This may include prebuilt data and omni-channel integration, support for bots, and artificial intelligence (AI) built with Amazon Lex and Salesforce Einstein. Amazon Connect for Salesforce Service Cloud is available from the Amazon Connect CTI Adapter on the AppExchange. Salesforce runs the vast majority of their public cloud workloads on AWS, the companies said in a statement. Salesforce is live on AWS in Australia and Canada, and customers can access the Salesforce Customer Success Platform on the AWS Canada (Central) Region and AWS Asia Pacific (Sydney) Region, Salesforce’s first international infrastructure expansions supported with AWS cloud services. Salesforce services, including Heroku, Quip and Marketing Cloud Social Studio, also run on AWS infrastructure. 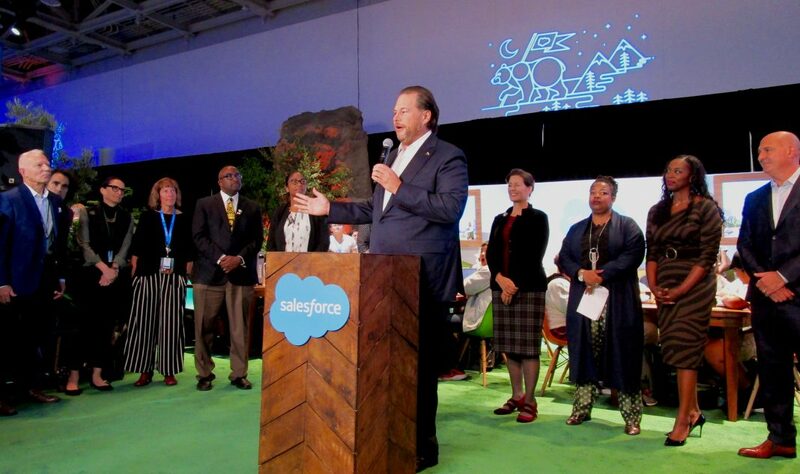 The announcement is part of Dreamforce, Salesforce’s annual conference, currently under way in San Francisco, California.